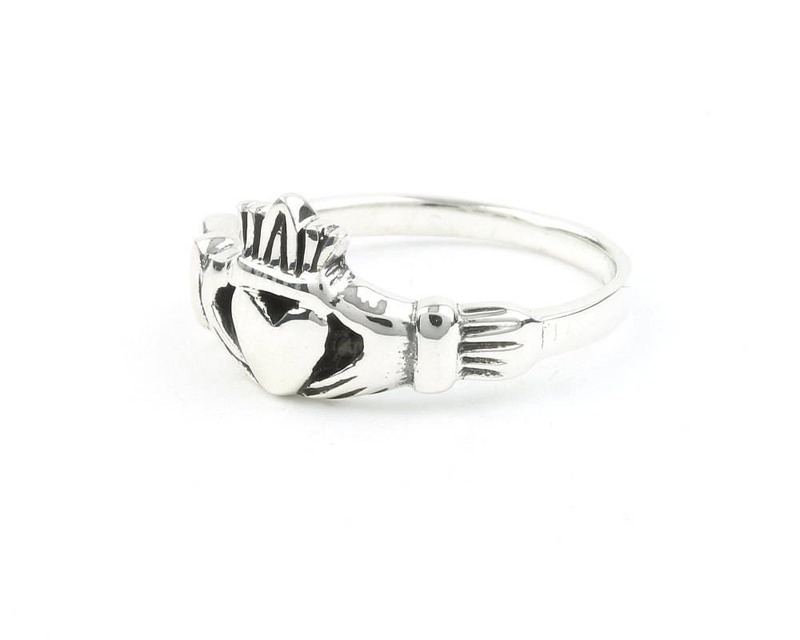 Originating in Irish culture this ring represents love (the heart), loyalty (the crown), and friendship (the hands). 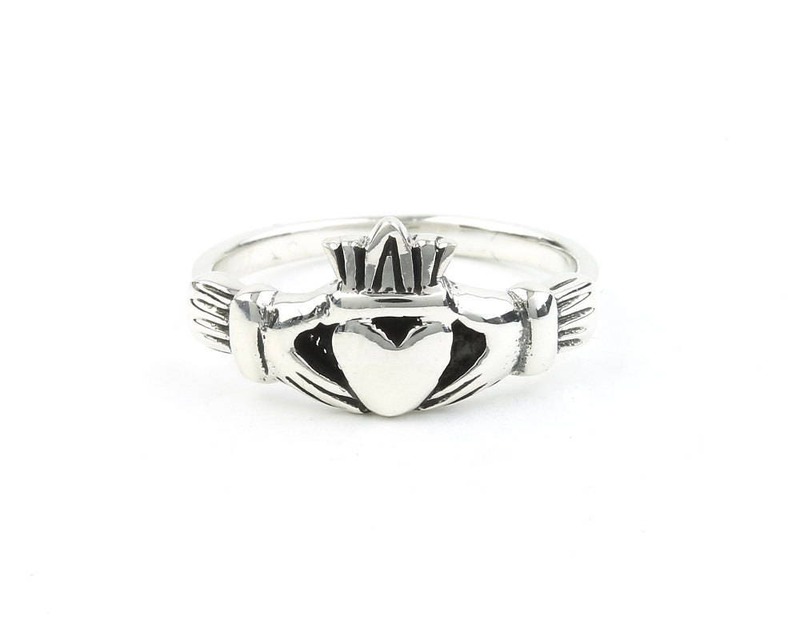 The Claddagh ring can be wore in two ways, with the heart facing away from the body means your heart is open for love, if worn towards the body means your heart is spoken for. Light patina finish accentuates the small details of this piece. I love this ring so much. I have gotten so many compliments. Highly recommend! Great ring! Nice and simple, and substantial (she broke the last one, so this one is nice because the band is thick and the design is overall more breakproof than the last one we bought. Its perfect - my daughter loves it!